Welcome to the Southern California Chapter NCRS (SCC/NCRS). This is the official NCRS web page. Check it out for more information about, joining NCRS, its mission, and coming events . These are contacts in the National Corvette Restorers Society and Chapters. What we do to meet your needs. These are the current Southern California Chapter Board Members. This is a list of SCC/NCRS happenings and other local events. Links to other NCRS Chapters and Corvette Related Sites. A growing list of information sources for your Corvette needs. Send your recommendations, to make it complete. The National Corvette Restorers Society has been gathering technical, historical, maintenance and restoration information for since 1974. Along the way, we became the world's largest Corvette Club with over 17,000 current member families. NCRS is dedicated to the restoration, preservation, history and enjoyment of Corvettes made from the model years 1953 through 1998. You should be a part of this organization. 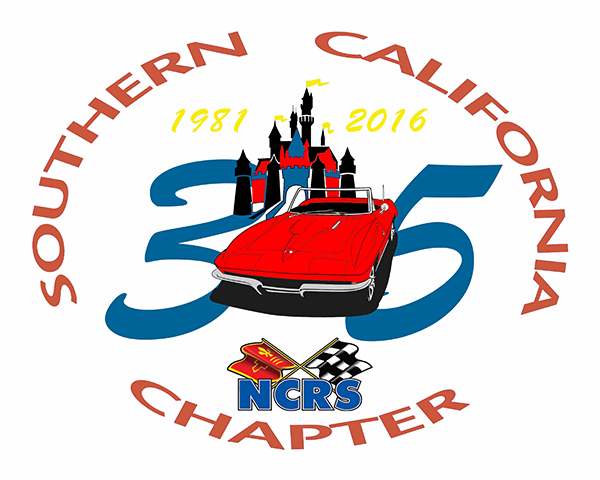 The SCC/NCRS was formed in September 1981 and serves the Southern California members of the National Corvette Restorers Society. The SCC/NCRS is able to offer many of the same activities you will find at the National Corvette Restorers Society events, only closer to home. Concurrent membership in the National Corvette Restorers Society is required for membership in a local chapter.